I hope your week is starting off with a bang ... I know the weather in Atlanta this week made my days this weekend a little bit harder. It is so grey and gross, but I will tell you that some pink roses, a new candle and restyling the mantle did make it a little bit better. I think it is important when you feel blue to own it. Those days and weeks come and they also pass, so tell your best friends you feel like you need a little extra love and pray a little harder and most importantly offer yourself some grace. 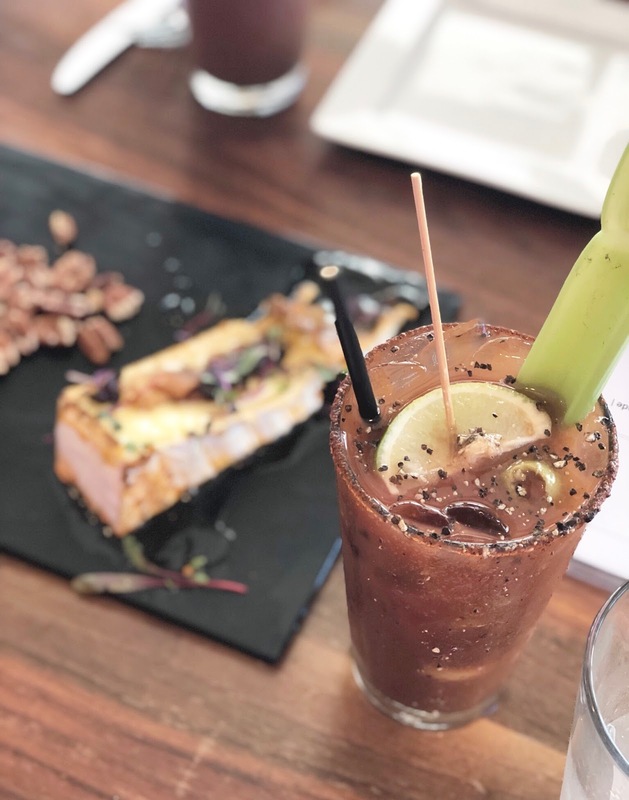 Anyone else really enjoy a Bloody Mary? Whether they have alcohol included, or not, I really enjoy them. Something about the spicy tomato juice, the added veggies, the olives and even the random ingredients just are so yummy with brunch. This article from Garden & Gun completely agrees, and I can't wait to try their tips. I love this article. I am completed enamored with Jacqueline Kennedy and always have been. Her style to me is nothing short of impeccable. OMG ... this watch is fabulous!! My friend Nicole gave me a sticker for my birthday that I am obsessed with. I got this phrase from my assistant Anna Grace and it has stuck with me when I am trying to focus on my faith and not on the fears and anxiety of the day. I died laughing when she gave it to me and immediately came home and put it on the outside of my laptop. It is simply perfect. She ordered it from Red Bubble and you must check them out. You can have anything made into a sticker ... it makes the best gift! Kate Middleton's brother is on Instagram and his feed is fabulous, a must follow for sure! I spotted these earrings this weekend and I think they may be perfect to wear all during February as well as all spring + summer. If, by chance, pink isn't for you they come in six other colors. 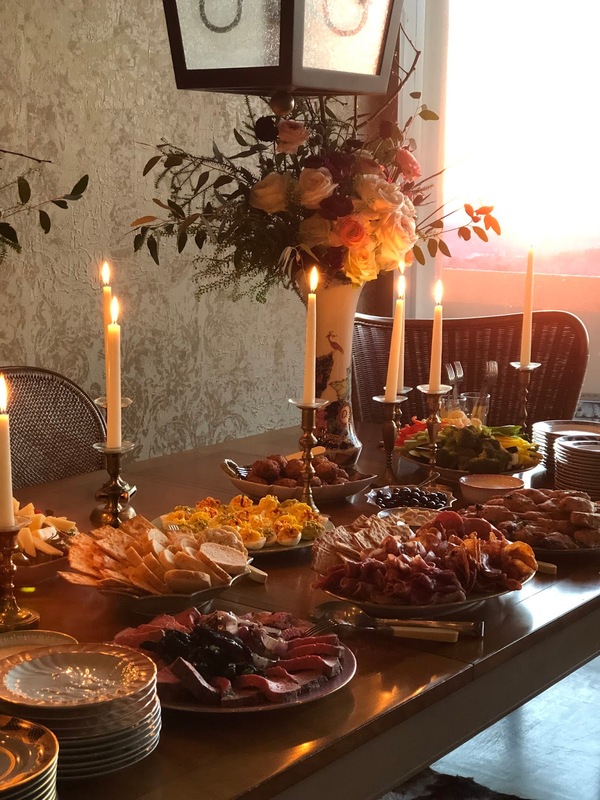 Last Thursday evening I attended a lovely cocktail party at the home of my friends Jill + Steve McKenzie hosted by Mottahedeh. It was truly spectacular in every single way. If you aren't familiar with Mottahedeh you need to follow them immediately and let your Instagram feed be filled with so much goodness. 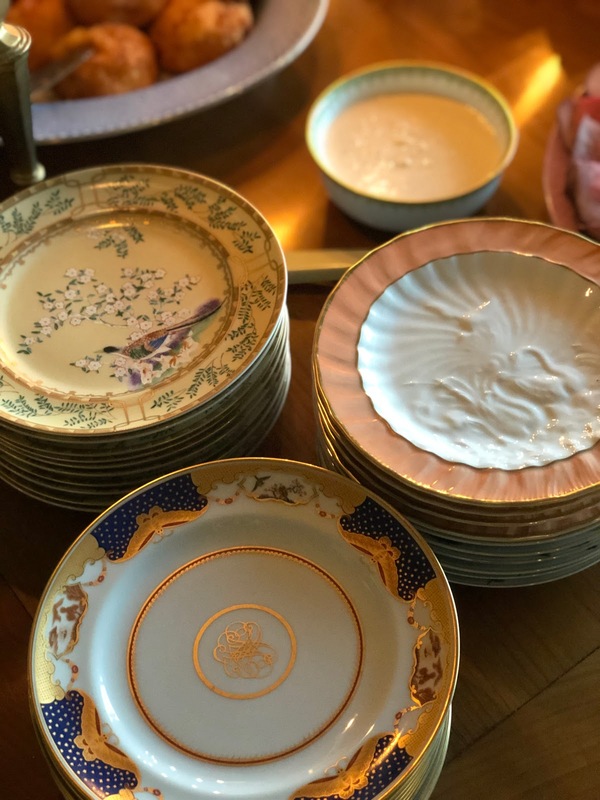 I am only beginning to learn about the brand and I can't wait to bring you posts on their history, the china and the beautiful pieces that are loved by so many. While I was shopping I found the perfect dupe for my favorite round sunglasses which are vintage. These sunnies are the perfect tortoise, the right size, and oh so fabulous! As a girl who loves champagne this list makes me oh so happy. I must try a few to check it out! About a month ago I gave up unsweet tea which I was drinking on repeat every single day. I was going straight from coffee in the am to a large tea and then switching to a glass of water or two before bed. Can you say super bad plan?? After an emergency doctor appt and a procedure to check for an ulcer I realized I had been completely adding on the acid like a stupid crazy person and tea was the first thing that had to go. I wasn't just drinking tea I was drinking black tea which is full of acid. I replaced it with water + lemon and have not even missed my tea one single minute. I have been using this cup every single day and just refilling it as I need to. I added lemon because it makes it better and it helps to detox. I can't believe I was just so very silly, but I have made the change and that is all that matters.